1) Map Pin controls have been moved to the Area Map GUI itself (rather than be on the Main Menu). 2) The Area Map has had a face lift to complement this, by having the map name moved to a better position. 1) Add Map Pin: This allows the player to place the Map Pin and add some text to it. 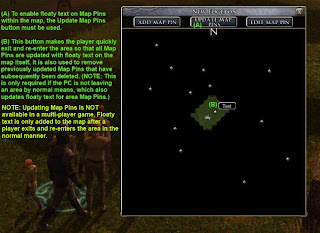 2) Edit Map Pin: This allows the player to either edit the Map Pin text or remove the pin completely. 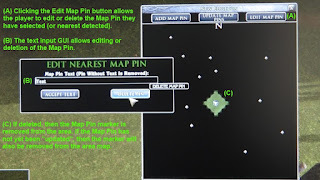 With my system, when a player creates a map pin using the Add Map Pin button, they are presented with a text input GUI where they can add some descriptive text. 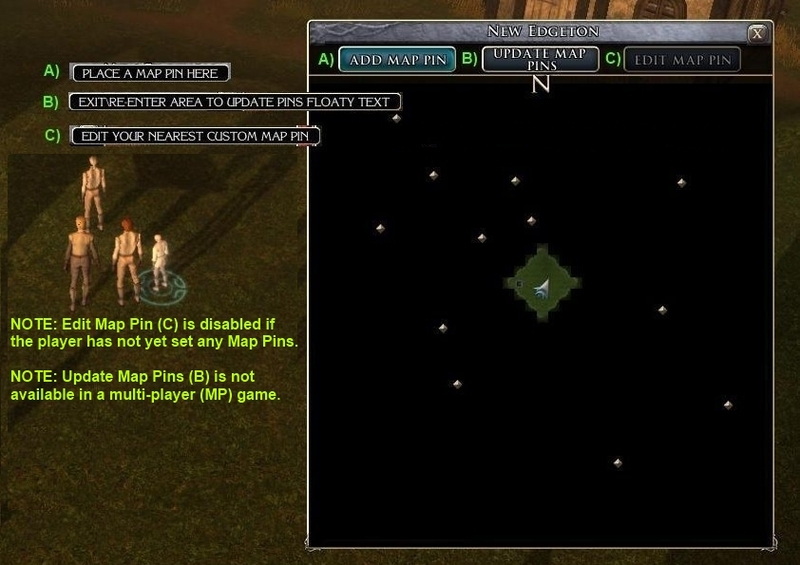 When they select the Create Pin option, a small visible pin is placed in the game area with the text the player added, and a small blue pin marker is added to the Area Map at the same time. However, the blue map marker does NOT have the usual floaty text added at this time. 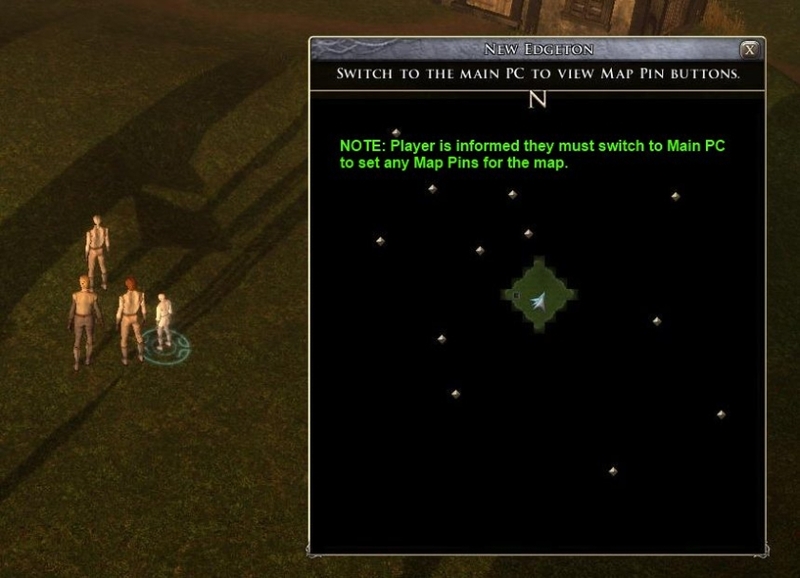 All the while the blue map marker does not have floaty text (which is added if the player leaves the area), then if the player chooses to delete the Map Pin, then the associated blue map marker is deleted at the same time. When a Map Pin is first placed, the associated Area Map blue marker does NOT have floaty text like pre-placed map pins usually have. 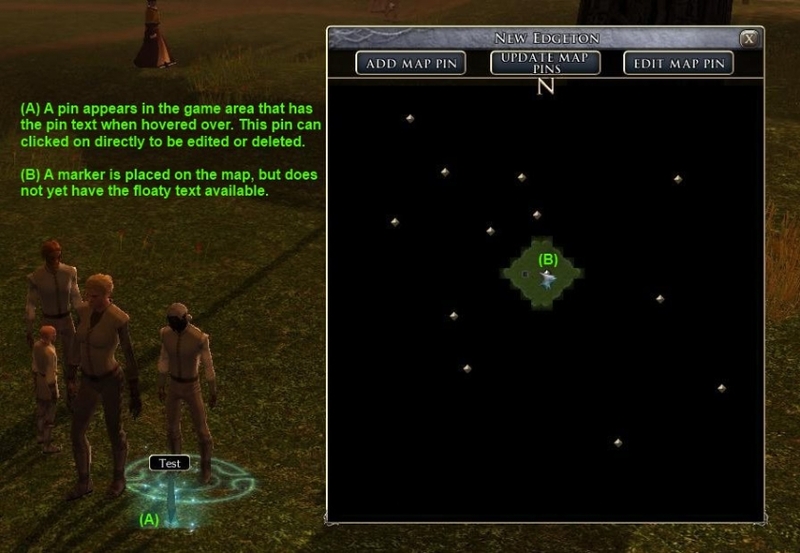 In the case of player created Map Pins, floaty text is only added to the Area Map blue marker after the PC leaves and re-enters the current area where the player has added Map Pins. 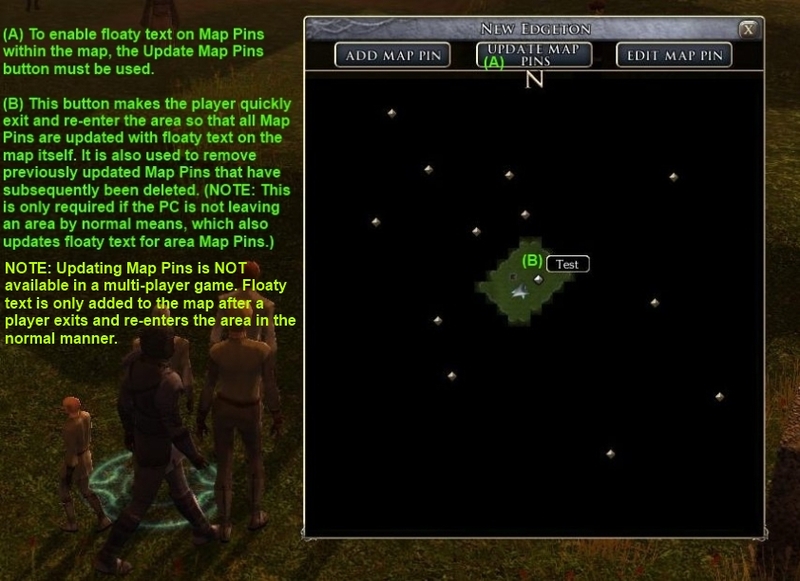 Furthermore, if a Map Pin is deleted by the player after it has had its floaty text added (by the player leaving and returning to the area with the Map Pin), then the Area Map will not update (have the blue marker deleted) until after the PC leaves the area and returns to it again. 2) Removing blue markers (with floaty text) from the Area Map of recently deleted Map Pins. NOTE: This option is disabled for a multi-player (MP) game to ensure added game stability and to avoid confusion for other players. 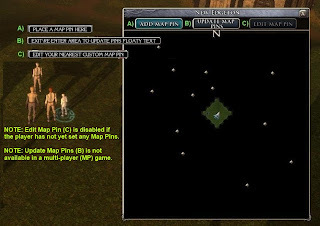 Lance will you be making the player placed map pins have a unique color to separate them from the designer map pins? This is definately a missed feature in this as well as many other games. The player should not have to have a note book to make notes for a game, but should have some way in game to make marks, notes and reminders. At this time, I have used existing images, but it would be very simple to alter the colour if need be. However, they would probably change back to "normal" colour on an "update", due to the way the map pins work.